What was Queens first U.K. album release of The 1980s? Brian May was a student studying which subject? How many U.K. Number 1 Singles did Queen have in The 1980s? 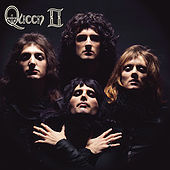 In Which Year was Queens Greatest Hits released in The U.K? Which Queen track was Brian May referring when he said, " It's a work of genius. You will see, in any Wedding Party, Hen Nigh or Celebration, the effect this track has when it comes on." 24 Hour 80′s, we’re back. The 80′s impartial view of the EU Referendum. From a Horror Classic an 80′s Anthem was created. Top 10 12inch Singles, post 1984. What their dancing to in Missouri, 80′s style. My Top 10 80′s Hair Styles.